December 9, 2011 May 31, 2012 Nefer Khepri, Ph. D.
The visionary art of Eva Shakmar-Sullivan apears on greeting cards, CD covers, & in a beautiful oracle deck. 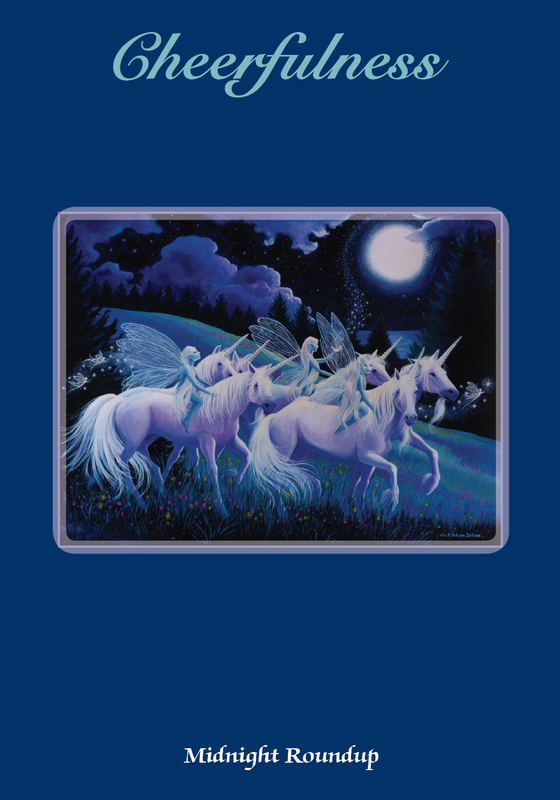 Dominated by images of dolphins, angels and unicorns the cards are conveyed in beautiful shades of blue and purple accented with bright colors that seem to pop off the cards (yellow, orange, white, etc …). 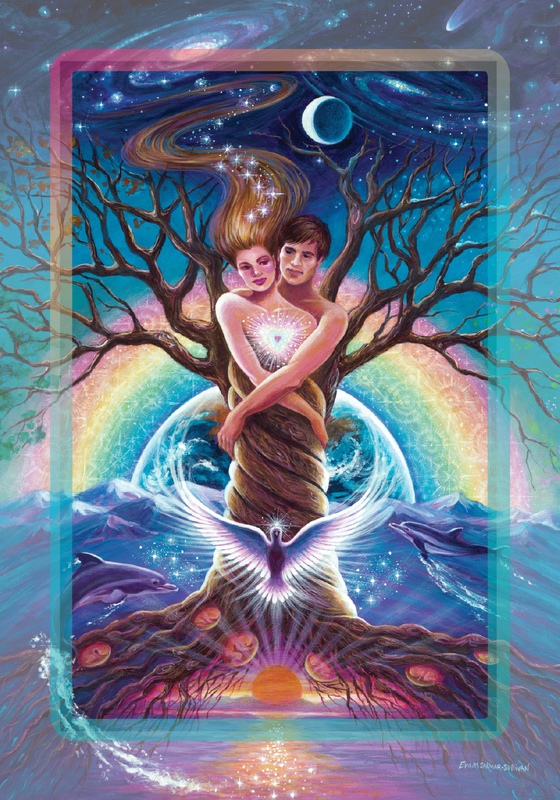 The Celebration of Love Oracle Cards are quite beautiful and they have a serene and peaceful energy to them. The paintings used for this deck were painted with acrylics. The colors are vibrant, yet also calming. Other creatures, such as fairies, are also present so this is a deck that will please lovers of angels, dolphins, unicorns, and fairies. There are 60 cards in the deck measuring 3 1/2″ X 5″ that are housed in a sturdy laminated cardboard box containing a guide book the same size as the cards. Serving as the card back is the image for the card, “Grounding” (see above for card back). This deck is not meant to be read in reverse, therefore the cardback is not reversible. The guidebook is a 96 page paperback. Each card is interpreted and also contains a separate “Special Message.” Using this deck I found it to have a lovely energy and it has given me encouraging and supportive readings. Each card is titled across the top and there is also a sub-title across the bottom that presents the user with a general overview of the meaning of the card. All cards have a dark blue background. For the most part, images are rendered in portrait orientation. However, unlike the vast majority of decks, some card images are presented in landscape orientation that takes up approximately two-thirds of the card’s surface, but the entire card itself is still labeled in portrait orientation. An example is “Cheerfulness” here to the right where we can see a group of unicorns out for a romp on the night of the full moon. Some may think that having both portrait and landscape oriented images in the same deck would make for a strange looking layout when using conventional card spreads such as any 3-card spread or the traditional Celtic Cross, for example. However, I find that it adds an interesting dynamic to the reading and if you pay attention you can catch extra little nuances in the manner in which images spatially relate to one another. The card stock is of excellent quality: firm, well laminated, yet cards shuffle easily. The laminate feels very thin, does not cause the cards to stick together after a few shuffles to break them in (even in the humid environment of the Texas Gulf Coast so that’s really saying something! ), and I believe this deck will hold up well with years of use. I would highly recommend this deck to beginners or to someone who may be well-versed in tarot, but does not feel comfortable with oracle decks. For the beginner this is a nice deck because the card interpretations are short and you can choose whether or not to memorize them. An introductory section on how to cleanse and bless the cards to prepare them for their first use is provided in the guidebook. A meditation is also included that can be used with whichever card is of the most interest at any given time. The cards are illustrated in the guidebook in black and white at approximately 25% of their full size with a few appearing as large as 75% of their full size, which is great for beginners who wish to study the book first prior to using the cards. 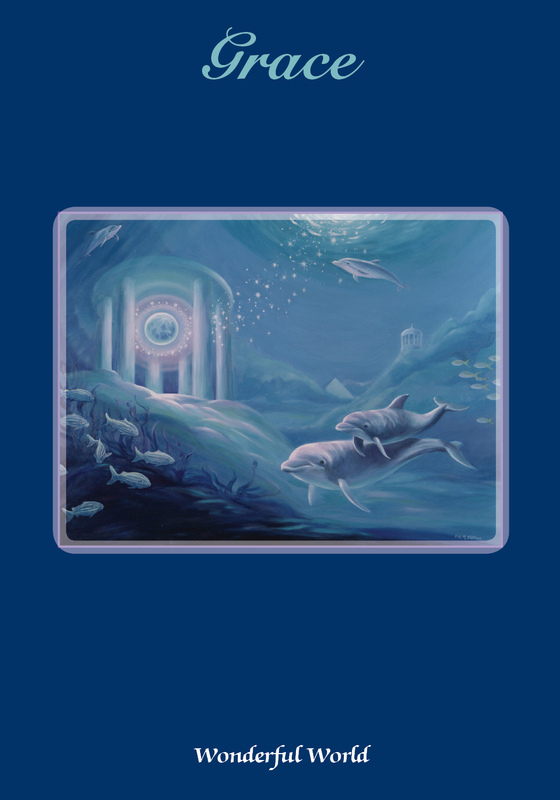 Each time I use the Celebration of Love Oracle Cards I am filled with a sense of peace. It is obvoius to me that the art was created from a place of love and with a desire to spread positive energy on to others. Anyone who enjoys helpful and uplifting messages will love this deck. 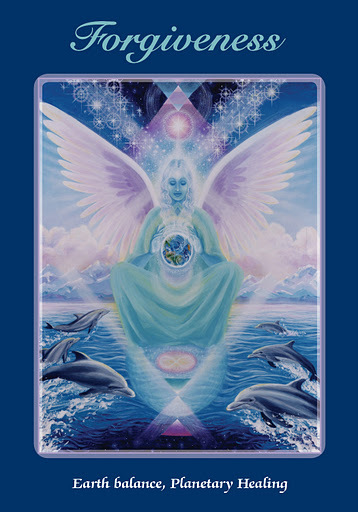 If you’re a lover of dolphins and/or angels, I am sure you will find this deck to be quite lovely and enjoyable to use. Nefer Khepri, Ph.D., R. M-T.